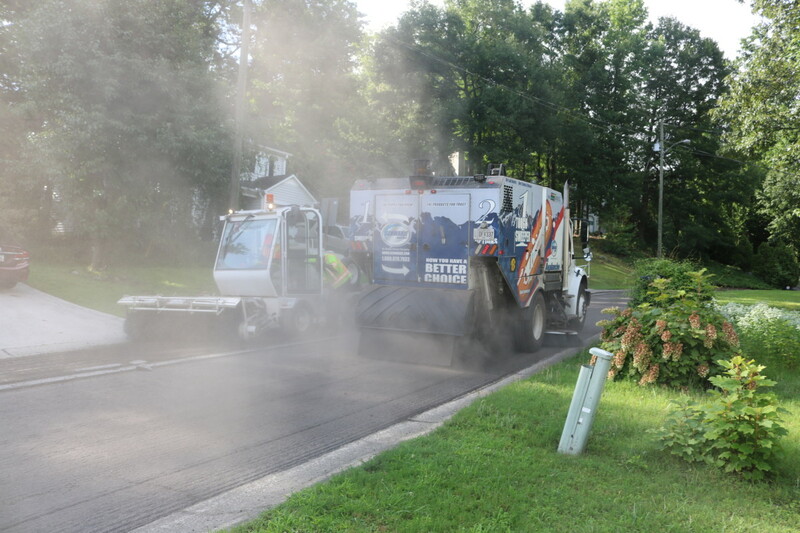 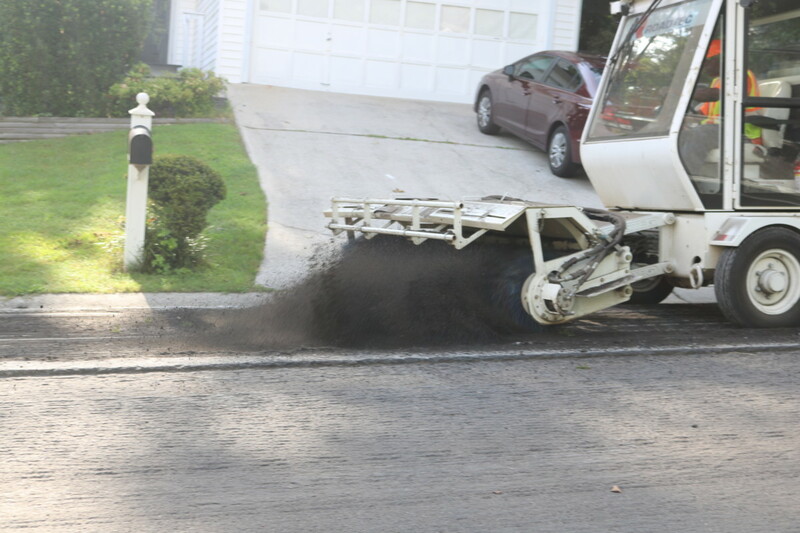 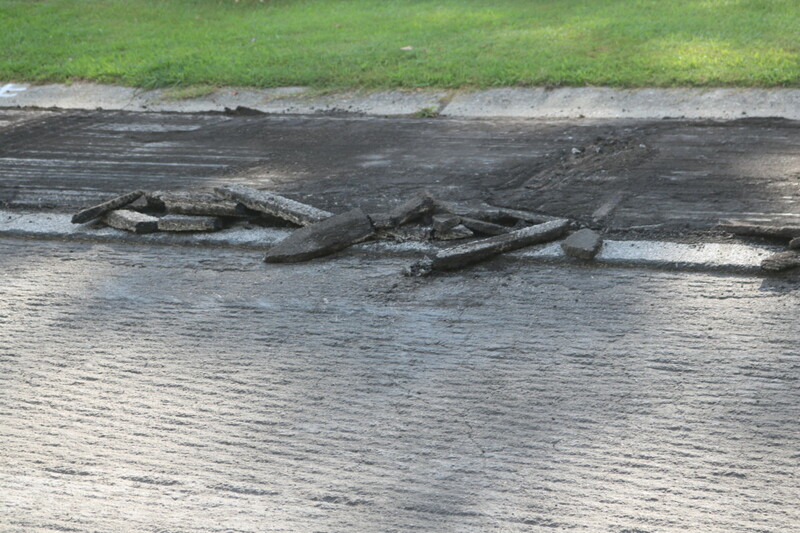 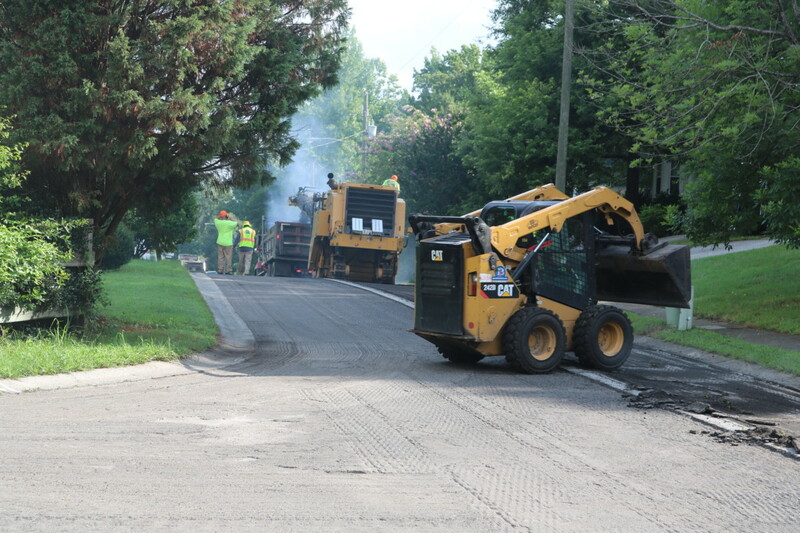 Repaving crews have been working on the streets adjoining Oakdale Road, including Brookside Drive. 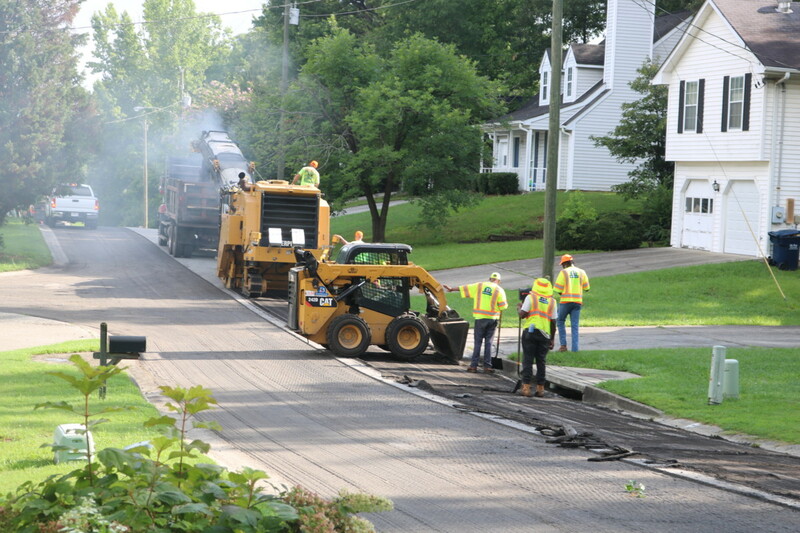 We’ve put together a slideshow of the work-in-progress. 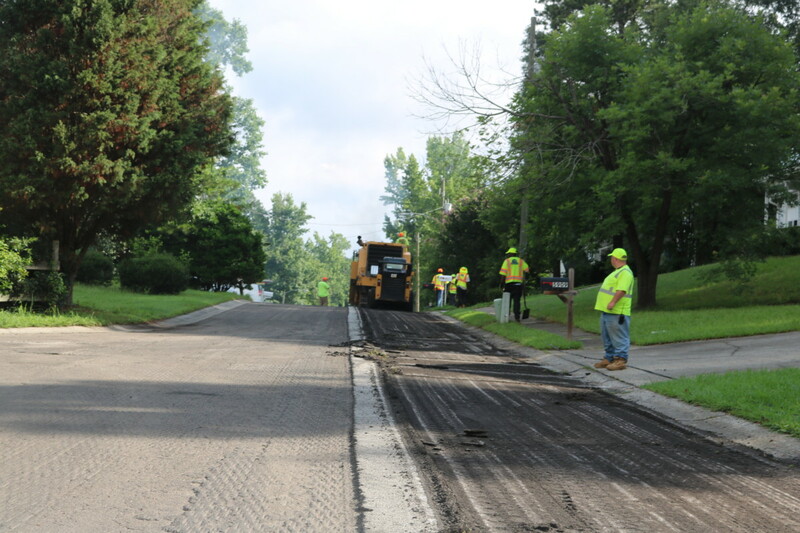 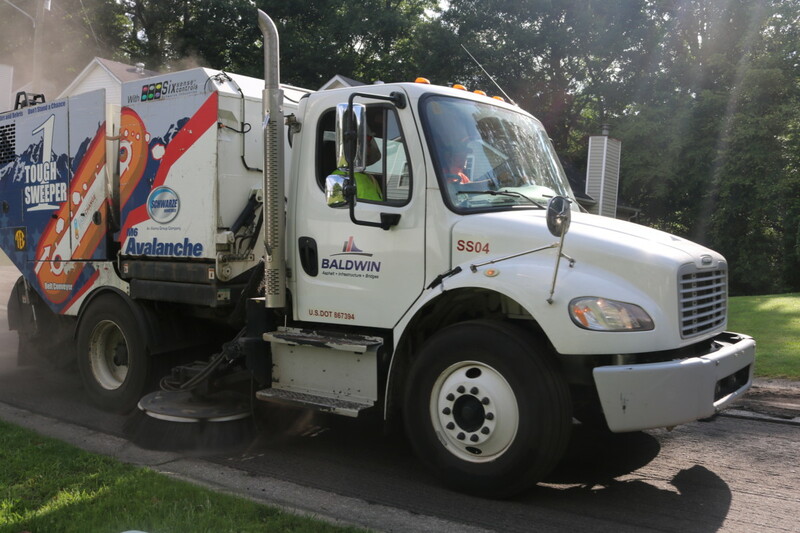 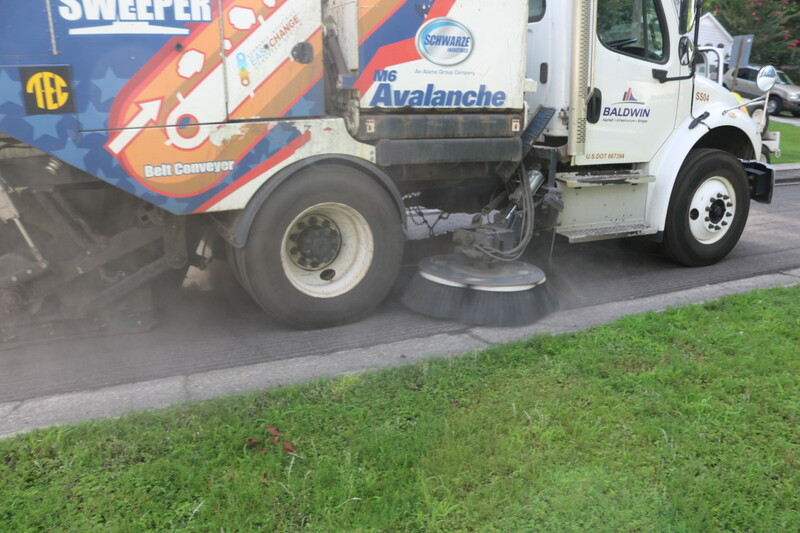 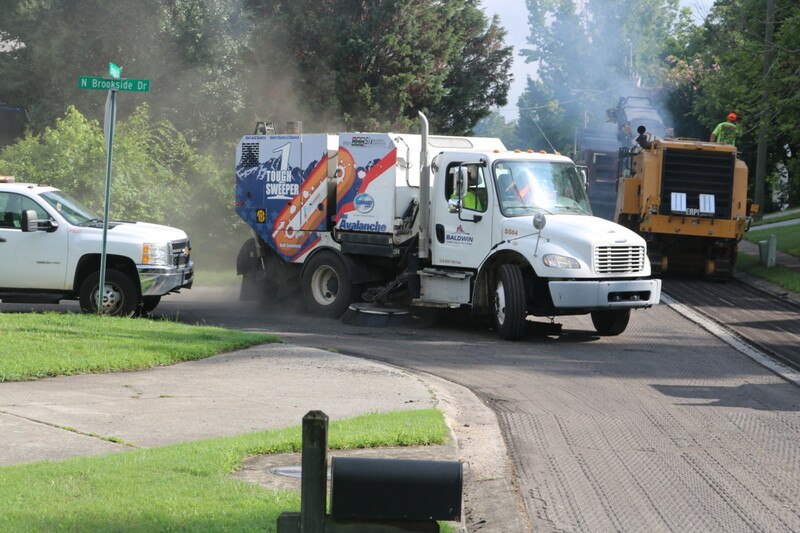 This morning crews scraped the second side of the street, after scraping the first side late last week. 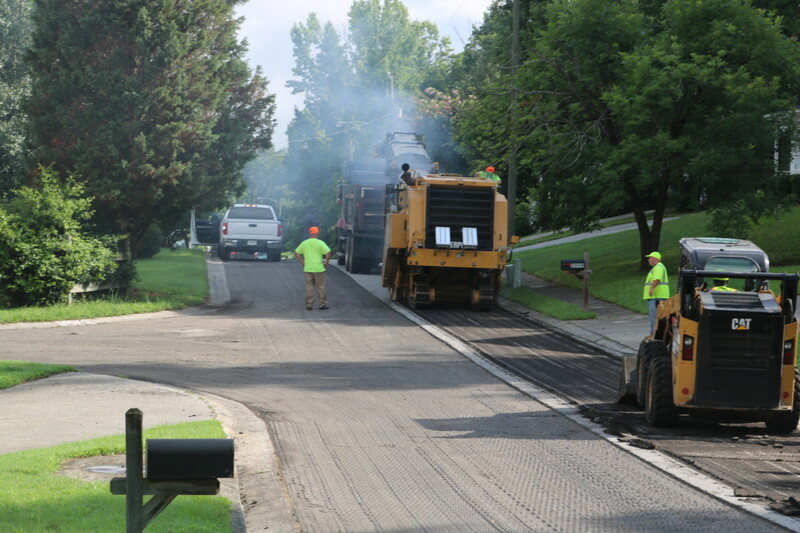 This work is part of the larger project of paving Oakdale Road. 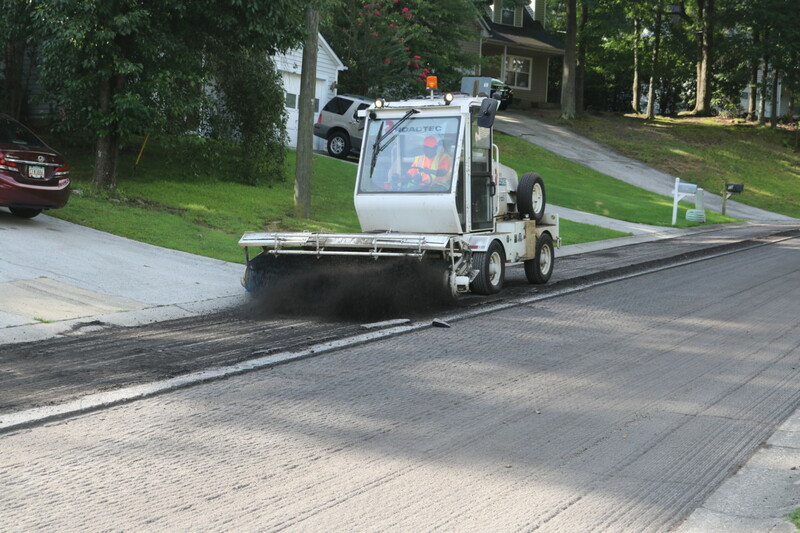 If you or someone you know is considering a career change, road construction workers, including resurfacing crews, are in demand in Georgia. 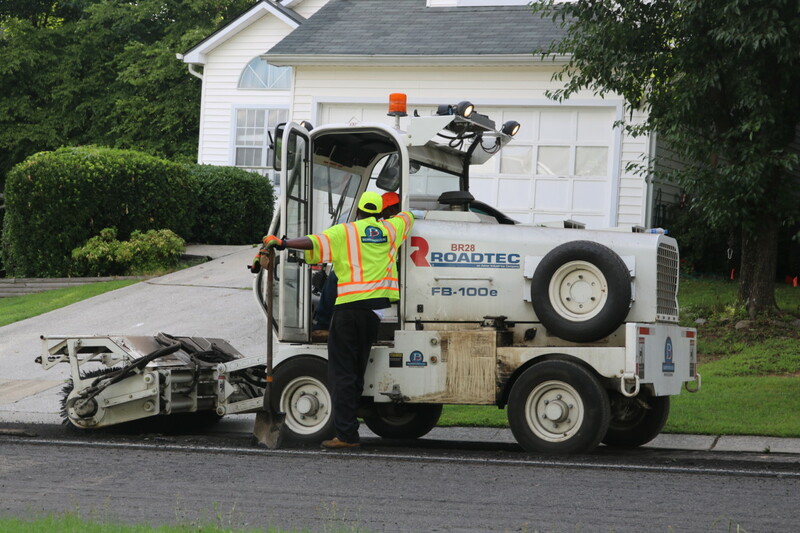 In February the Courier ran an article entitled Highway Contractors, Latin American Association Team Up For Job Fair Feb. 3. 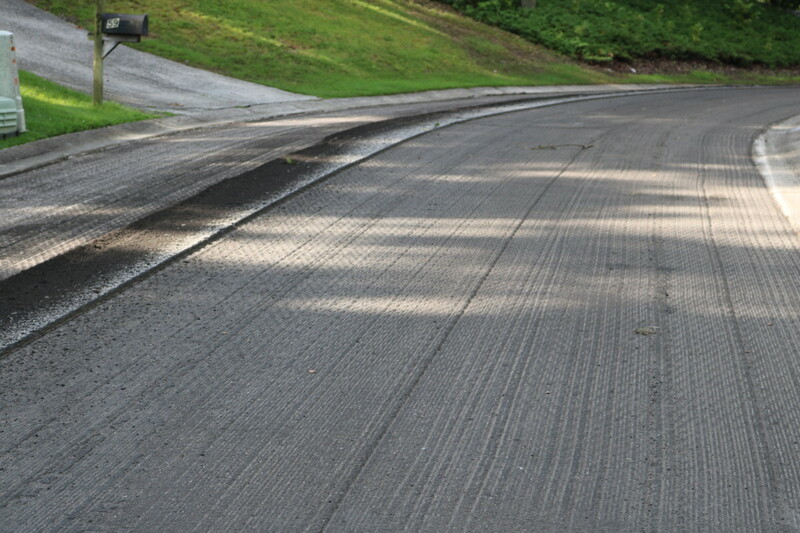 Roughly two-thirds of Georgia high school students do not go on to complete a four-year college degree. 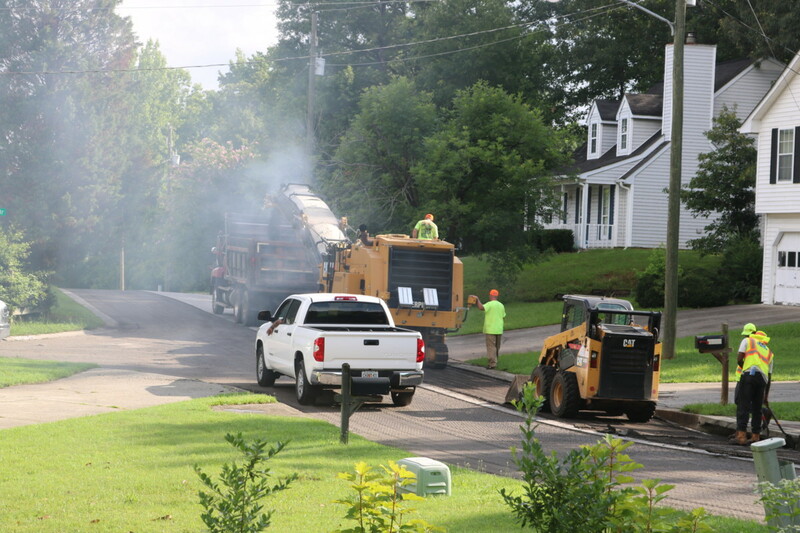 For those who do not finish college, Moellering said his industry provides a great way to establish a career. 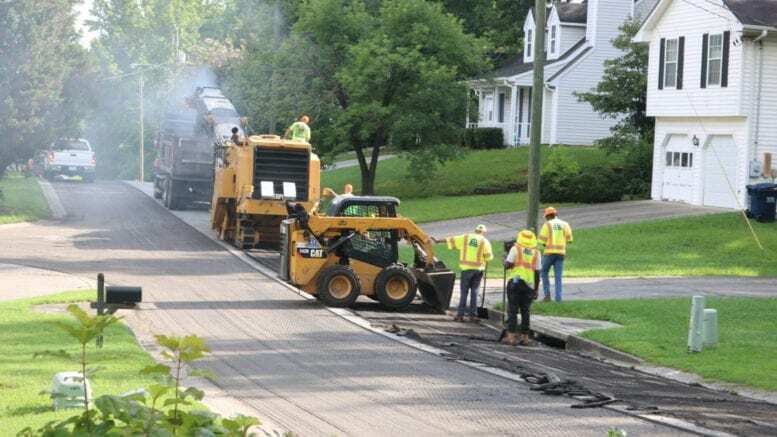 An entry-level worker who proves to be a good laborer can move on to operating heavy machinery, and if they show leadership skills can become a foreman or superintendent, potentially moving high from there. 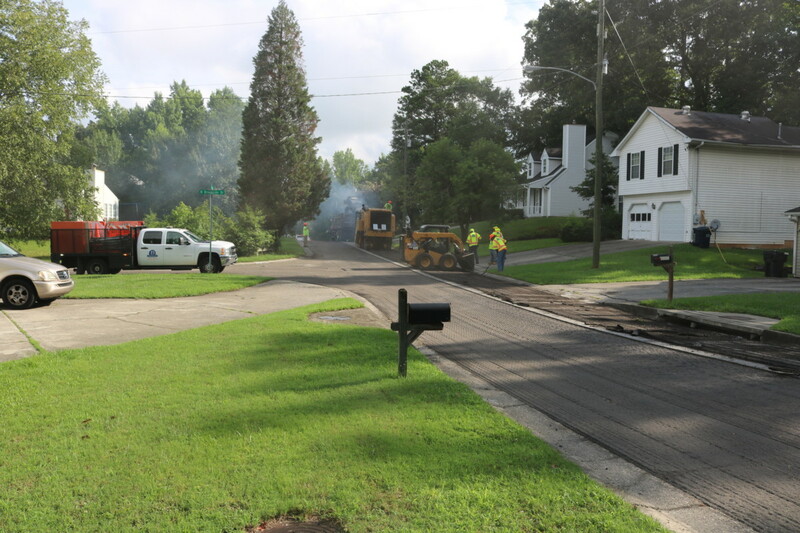 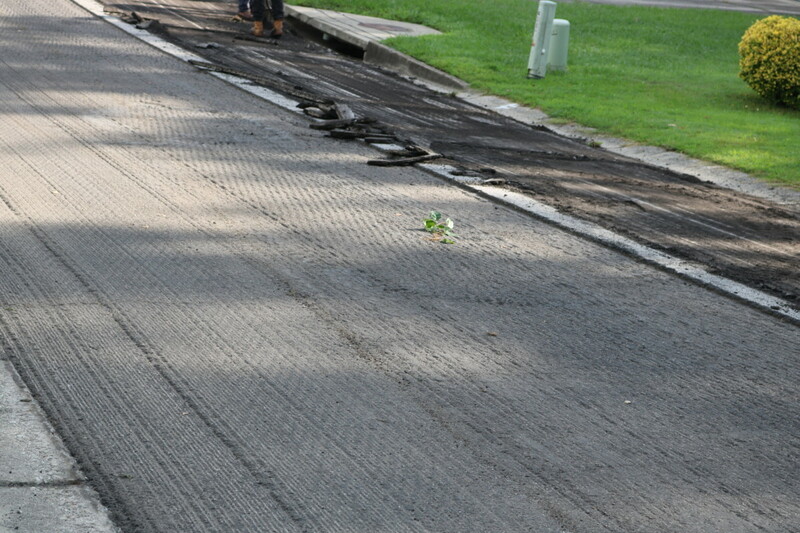 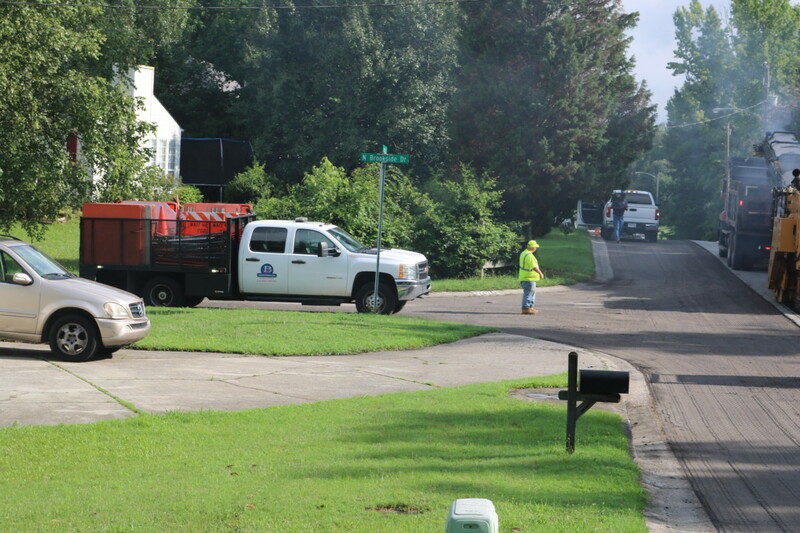 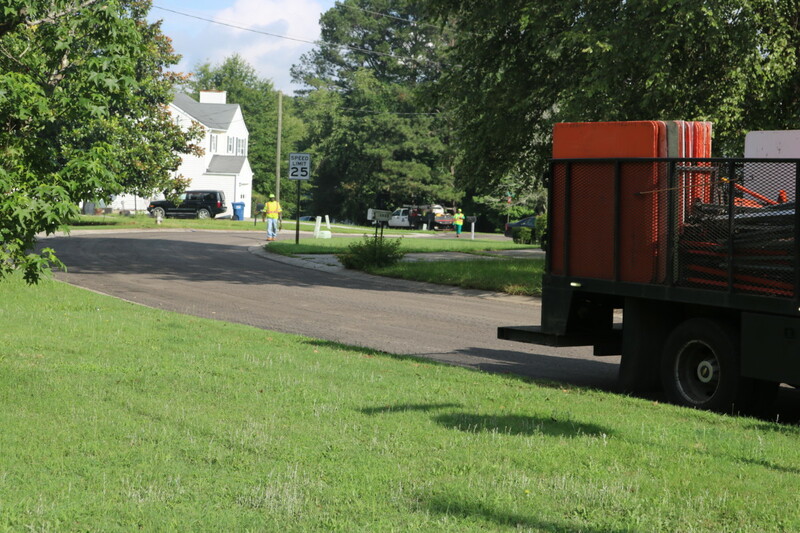 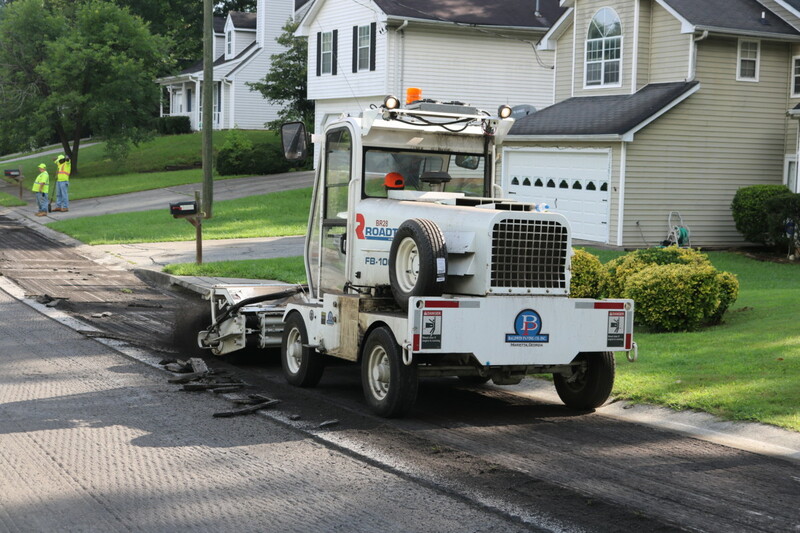 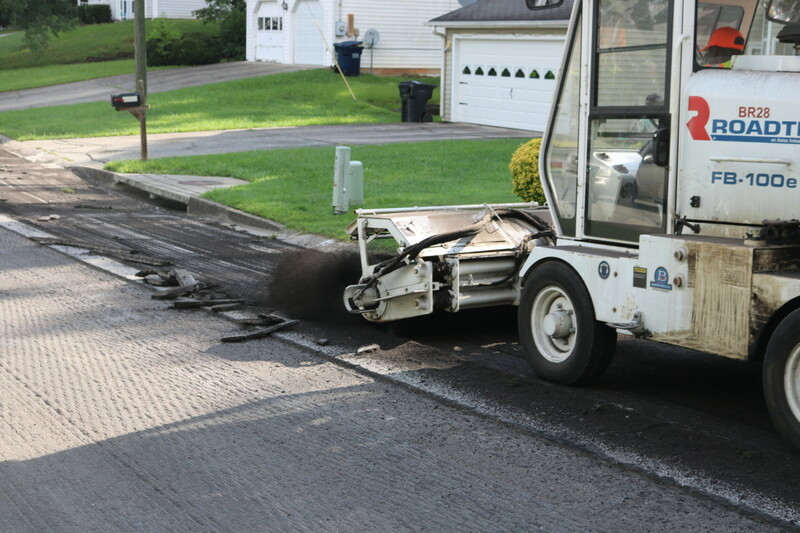 Be the first to comment on "Repaving of Brookside Drive in Mableton"